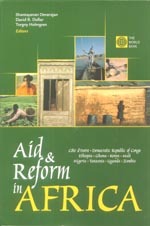 Aid & Reform in Africa edited by Shanta Devarajan et. al. edited by Shanta Devarajan et. al. James Wolfensohn, in an introduction to Aid & Reform in Africa, points out that for aid programmes to succeed they must have a country-owned development strategy. 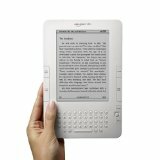 This point is reiterated throughout the ten case studies presented in this book, compiled and edited by Shanta Devarajan while he was the Chief Economist of the Human Development Network at the World Bank. Aid & Reform in Africa provides a thorough review of the interrelationships involved in determining the effectiveness of aid in Africa. It examines the degree of political and economic reform and their relationship to the success of aid programmes in the Ivory Coast, Congo, Ethiopia, Ghana, Kenya, Mali, Nigeria, Tanzania, Uganda and Zambia. Every case study presented in Aid & Reform in Africa is written by nationals of their respective countries, who offer first-hand evaluations of the development conditions existing within each country. Given the relatively even distribution of aid amongst all of the countries reviewed, there remains a wide disparity in the success of their respective aid and development programmes. The conclusions derived from these studies offer excellent guidance for the future direction of aid to the African continent. Shanta Devarajan is the Chief Economist for the Africa Region at the World Bank. Since joining the institution in 1991, he has previously served as Principal Economist and Research Manager for Public Economics in the Development Research Group, and the Chief Economist of the Human Development Network, and of the South Asia Region. He is the author and co-author of more than 100 publications covering a wide range of issues from public economics, trade policy, natural resources and the environment, and general equilibrium modeling of developing countries. A native of Sri Lanka, Devarajan received a BA in mathematics from Princeton University and completed a PhD in economics at the University of California, Berkeley before joining the faculty of Harvard University's John F. Kennedy School of Government.